You’ve decided to enlist the help of a professional to help you find and buy a home. Here are some tips to help you find a real estate agent. Find at least three real estate agent’s to interview. Ask friends, family and even neighbor’s for recommendations. Who did they use when purchasing their home? Would they use that same agent in another real estate transaction? Did they feel safe and trust the agent they used throughout the search and during the buying process? Use the internet. The internet is a great way to find professionals. Increasing numbers of agents have web sites readily available for you to evaluate before you even pick up the phone to arrange an interview. Simply go to your favorite search engine and conduct a search for real estate in the city you hope to buy. Try different variations like “City real estate”, “City REALTOR” or even “City home for sale”. Check out the agent’s web site to see if they include a page that discusses their own achievements, experience and years in the industry. If you have special needs such as relocation from a different state, you may want to consider an agent that specializes in relocation needs. Or, if you are a senior looking for retirement property, you may want to consider hiring a Senior Specialist. Don’t discount an agent simply because they are new and don’t have much experience. Generally, new agents have more time to help you and are eager to please. It is usually in a buyer’s best interest to find a REALTOR®, not just a real estate agent. 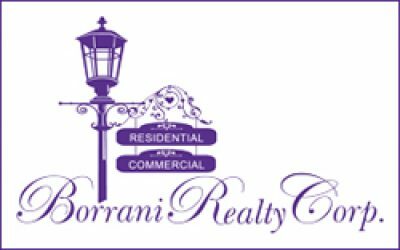 REALTORS® generally work full time, are committed financially to their business and have been extensively trained to serve your needs. They are also members of the National Association of REALTORS®. Part time agents might miss your dream house as it hits the market. If the market is hot, you risk losing your dream home. Full time agents are better options. How often will you inform me of new listings that match my criteria? If an agent is not ready, willing and able to inform you of new listings matching your criteria the same day they hit the market you may want to consider a different agent. In hot markets homes sell quickly. Experience can certainly play an important role in helping you find and buy the perfect home. New agents may not know how to deal with certain situations that occur during the transaction. An agent capable of handling difficult transactions can be the key to closing the deal. However, remember new agents generally have much time on their hands. They may be more vigorous in your home search than an agent currently working with many other buyers. In addition, they have extensive backing from their Broker during situations they may not be familiar with. Don’t discount new agents simply because they are new. Take into consideration whether the other agents you interview already have full plates. If you have special needs such as relocation, first time home buying, or any others, tell the agent and ask if they have any experience and training with buyers like you. Ask the agent for references and testimonials from past clients. If they’ve been in the business long enough, they are bound to have quite a few. This can help you weed out an agent that may not be well liked. Don’t just look at the testimonials… READ THEM! How enthusiastic do the buyers sound? Were they ecstatic with the agent’s service? Have they used the agent more than once? Getting Pre-Approved – Next, learn about getting pre-approval for a loan and other costs associated with the home buying process.